Dr. Wittke is a 1993 graduate of Oklahoma State University. Over the years he has developed special interests in acupuncture, integrative medicine, chiropractic and surgery. His wife, Lori, retired from the Air Force after 24 years of loyal service. Now she is teaching art and spending as much time as possible enjoying her horses. He has 2 dogs, Ranger, a true gentleman Brittany, and Bailey, a very energetic mixed breed who thinks she owns the house. He also has a feline friend at home named Nelix. 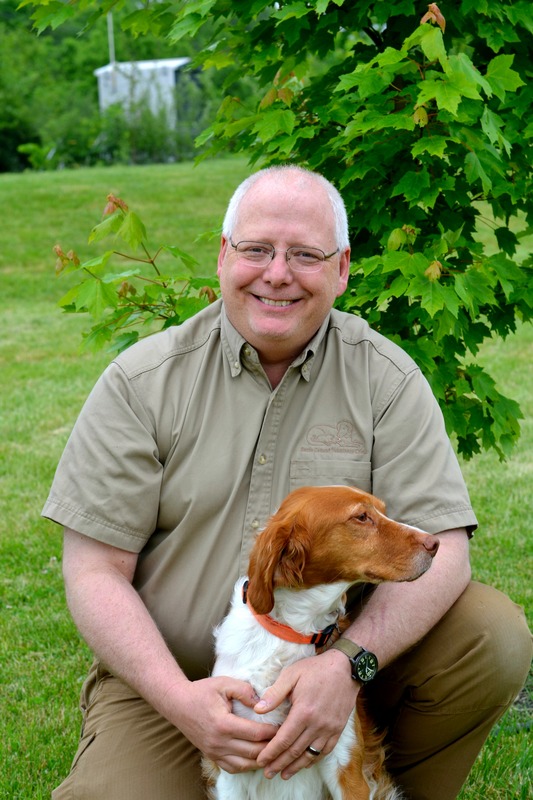 In his free time, Dr. Wittke enjoys developing his salt water reef tank, woodworking, blacksmithing, and spending time outdoors. Dr. Andrews is a 2018 graduate of the University of Illinois at Urbana-Champaign. Her passion for veterinary medicine started at the age of four and she is very excited to be realizing her dream in such a wonderful place. During the past few years, she has pursued interests in dentistry, rehabilitation, feline medicine, and has become Fear Free Certified. She is dedicated to providing a positive experience for all of her patients and loves seeing anxious pets relax during their appointments. She also considers herself a "small dog whisperer"! In her free time, Dr. Andrews loves to craft, spend time in the kitchen, and play with her chihuahua, Poquito. Dr. Hainje joined our team in October of 2017 as a part-time associate veterinarian. She graduated from Purdue School of Veterinary Medicine in 2009 and worked in the Fort Wayne area for a number of years before moving back to Lafayette to be closer to extended family. Dr. Hainje loves all aspects of small animal practice, but takes a special interest in preventative care, ophthalmology, dermatology, and intestinal diseases. She is fond of both dogs and cats and has one of each at home - Rosco, an 11 year old mixed breed, and Rizzo, a 2 year old black and white domestic shorthair. Both are rescue pets! In her free time, Dr. Hainje enjoys spending time with her two daughters, Addison and Alexa, and her son, Hayden. She also loves reading, scrapbooking, baking, and going for walks. Kara joined our team in November of 2012. She first started as a Veterinary Assistant and worked with us while going through school from 2014-2015. Kara graduated in 2015 from an accelerated program at International Business College - Vet Tech Institute with and Associate in Applied Science in Veterinary Technology. 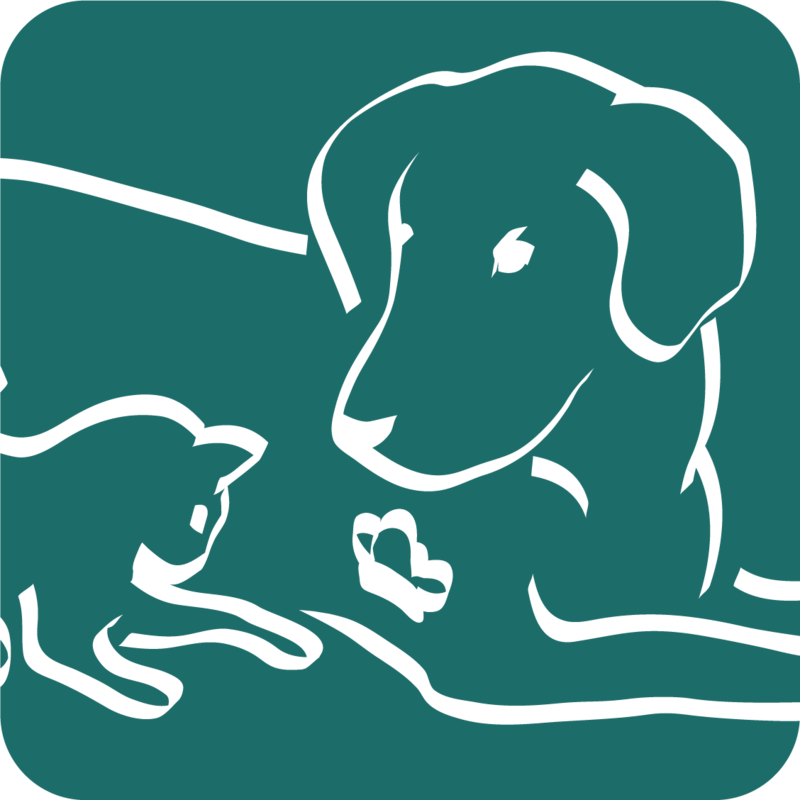 She has since become certified in Veterinary Massage and Rehabilitation Therapy. Her hometown is Saratoga Springs, NY. Kara enjoys hiking with her husband, Devin, and their two German Shepherds, Ritzy and Ruca. She also enjoys yoga, hunting, fishing, and going mudding. We are lucky to have such a skilled technician that is dedicated to client education and the wellbeing of our patients. Holly joined our team in 2018. She graduated from the Veterinary Technology program at Parkland College in Champaign, Illinois in 2005. Since then, she has worked as a Registered Veterinary Technician in Illinois. When she is not at the clinic, Holly enjoys horseback riding, spending time with her husband and children, and spending time with their dog, Snoopy. We are so grateful to have Holly on our team! Katie joined our team in January of 2019. She graduated with an Associate's degree in Veterinary Technology in 2011 and a Bachelor's degree in Veterinary Technology in 2012. 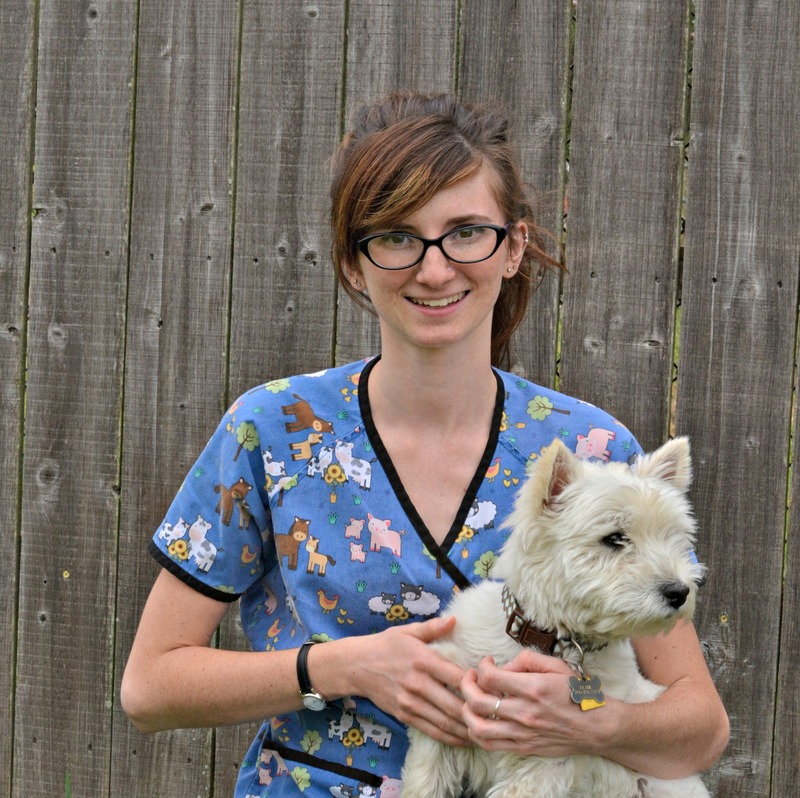 Katie has been working at the Purdue Veterinary Teaching Hospital Emergency and Critical Care services for 6.5 yeas. In 2017, she became a Veterinary Technician Specialist in Emergency and Critical Care. At home, Katie is kept busy with her four dogs named Brutus, Kato, Zeppelin, and Paisley. She enjoys photography and spending time with her nieces and nephews. We are excited to welcome Katie into the BGVC family! Holly joined our team in 2018 as a Veterinary Assistant. She will be attending Purdue University starting this fall and is pursuing a degree in Animal Sciences. At home, Holly has a Great Dane named Ellie and two horses. She loves gardening and playing the trumpet in concert band. We are very excited to have Holly join our practice! Sophia joined our team in May of 2016 as one of BGVC’s Veterinary Assistants. 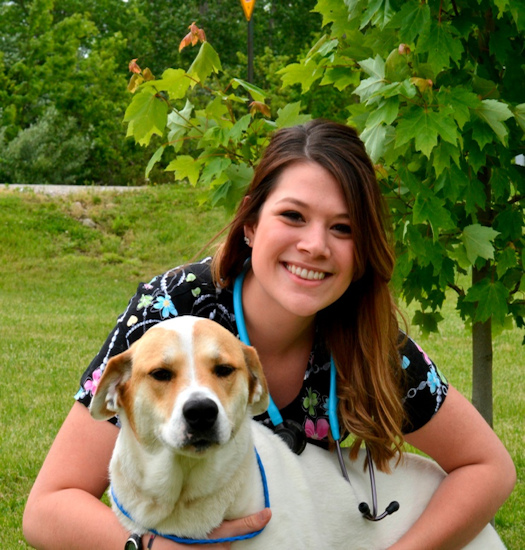 Sophia has been in the veterinary field since 2014 and is currently a senior at Purdue University. Sophia is studying Animal Science with concentration in Pre-Vet. She is also working on her Minor in Theatre. Sophia’s hometown is Milford, IN. We are happy to have Sophia as part of our team. Waiting at home for her is her dog, Majesty, and her cats, Roo and Finn. She enjoys fishing, reading, and being outside. We love having Sophia on our team! in Veterinary School at Purdue University. Kate’s hometown is West Lafayette and at home she has her dogs, Quincy and Scout. Kate also has her 2 horses, Ace and Cooper. She enjoys hiking, reading and traveling. We're so lucky to have Kate with us! 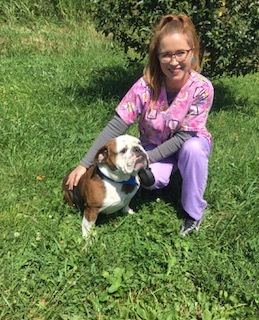 Allie joined our team in January of 2019 as a veterinary assistant and receptionist. 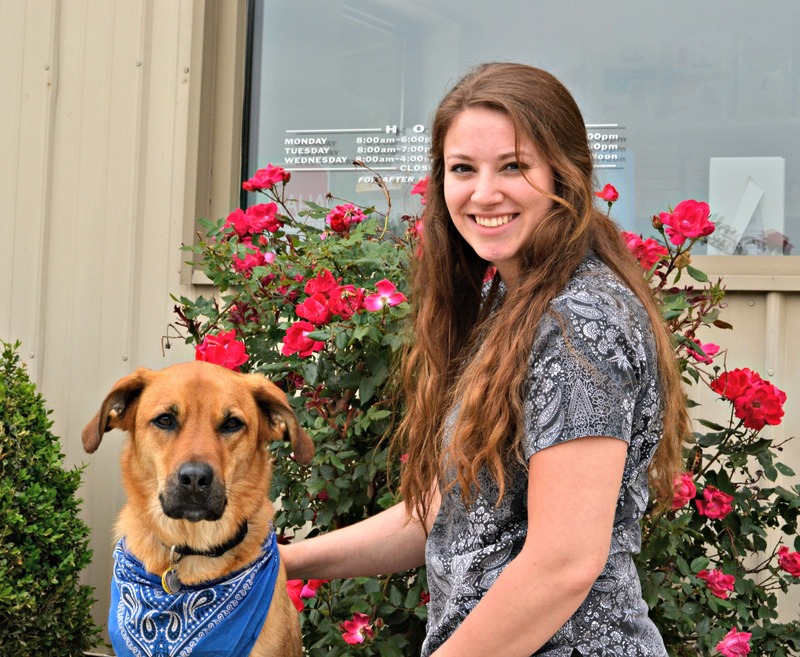 Allie is currently a Junior at Purdue studying biochemistry and pre-veterinary studies. She also works in poultry behavior and welfare research at Purdue. At home, Allie has two cats named Hershey and Bella. In her spare time, she participates in the Purdue Color Guard. We are so excited to have Allie on our team! Hayley joined our team in 2018 as our kennel attendant and overall jack-of-all-trades. Hayley is currently attending Ivy Tech Community College and pursuing a degree in Agriculture Science. She is an avid animal lover and has rabbits, goats, two cats (Jack and Tori), and two dogs (Mia and Molly) at home. In her free time, she enjoys drawing, working with animals, and has even learned Braille! We are very happy to have Hayley on our team! Shanna joined our team in August of 2017. 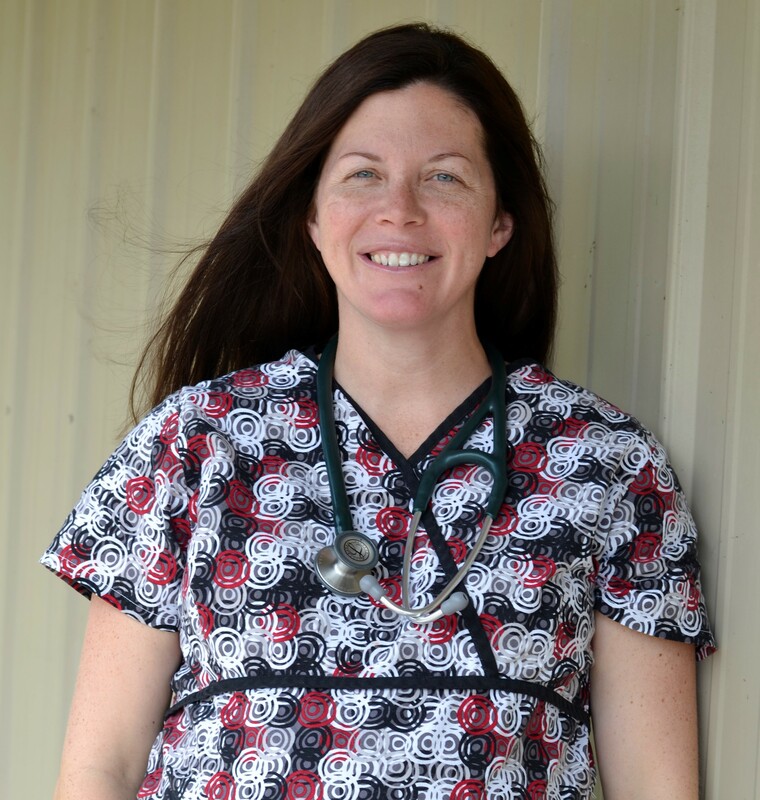 She is a Registered Veterinary Technician who earned her Bachelor's of Science degree from Purdue University in 2000. At home, she ha her husband (Rodger), her six children (Jenny, Jessie, Charlie, Colton, Jacqui, and Jozee), two dogs (Jade and Maizee), eight cats (Autumn, Gumball, Syracuse, Duke, Angel, Isabella, Mittens, and Pearl), five horses (Shadow, Cota, Misty, Lady, and Reba), rabbits, pygmy goats, and chickens! When she is not in the clinic, she enjoys reading, horseback riding, and 4-H activities. We are thankful to have Shanna on our team! 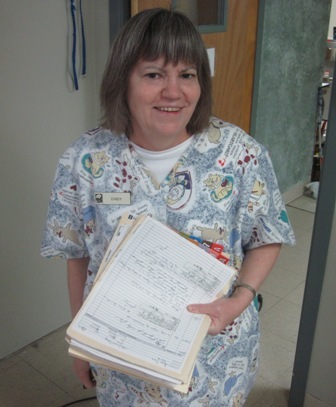 Cindy has been working for Battle Ground Veterinary Clinic since 1997. Cindy is one of BGVC's part-time receptionists. She has a Bachelor's Degree in Animal Science from Purdue. At home she has her two cats, Grady and Pansy. Cindy enjoys talking to clients about their pets; especially funny or unique ways their pets behave or things they do. She is grateful to be able to serve clients by caring for their pets and we here at BGVC are grateful for her as well. Sabrina joined our team in July of 2017 as BGVC’s part-time receptionist. Sabrina is currently in school for Medical Assisting. Her hometown is Putnam County. At home she has 2 cats, Woogie & Monster. She enjoys spending time with her 3 sons, going to amusement parks, and loving on all the animals. We are happy to have Sabrina as part of our team.